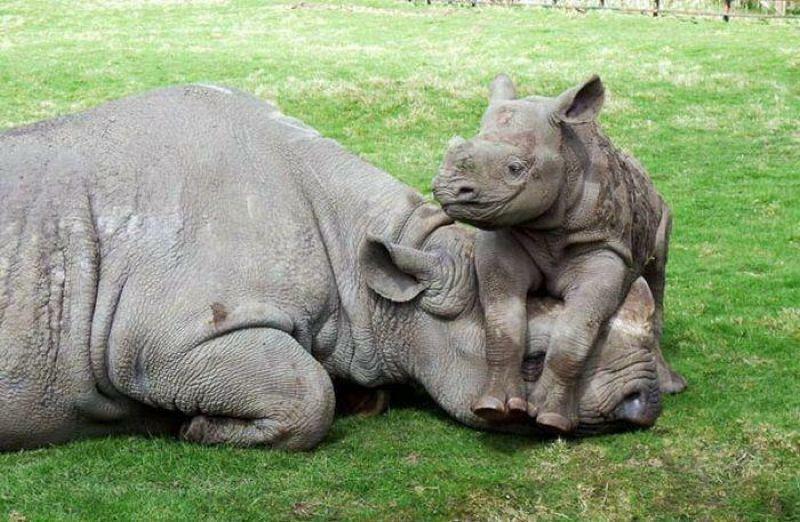 Baby rhinos nurse from their mothers for up to 2 years, and leave her when she’s ready to have another baby. 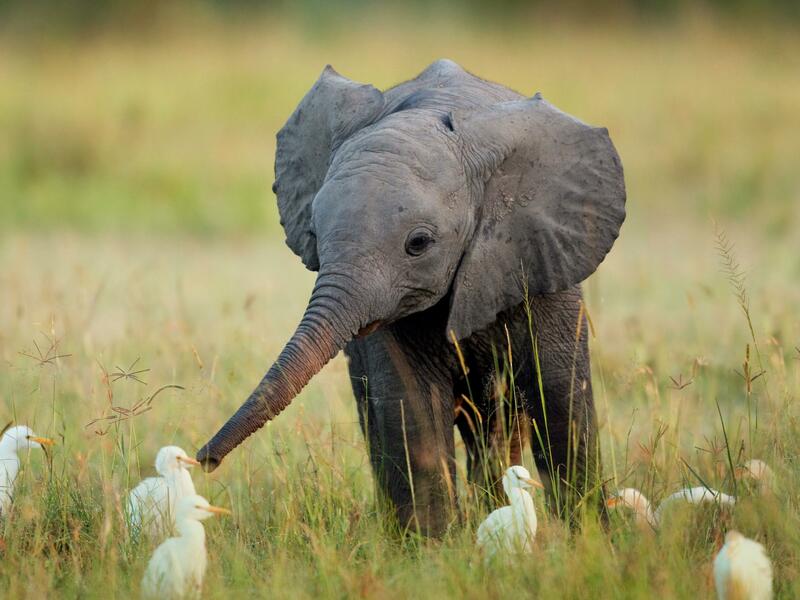 Baby elephant making new friends. 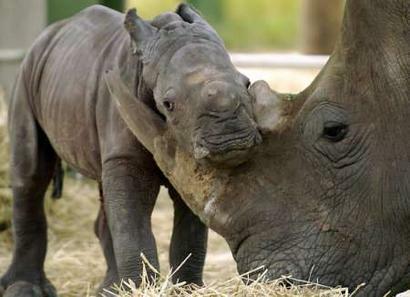 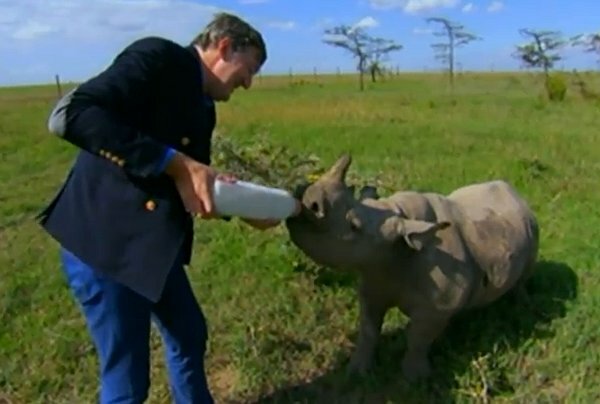 Baby rhinos start grazing long before they stop nursing from mom. 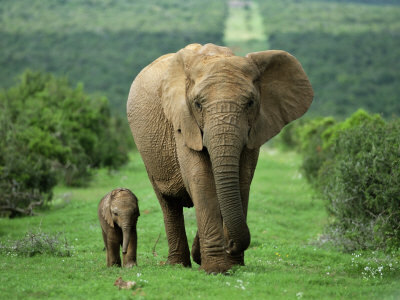 If the baby is a male, he will stay with the herd until 12-15, then venture out on his own, if its a female she will stay with the herd permanently. 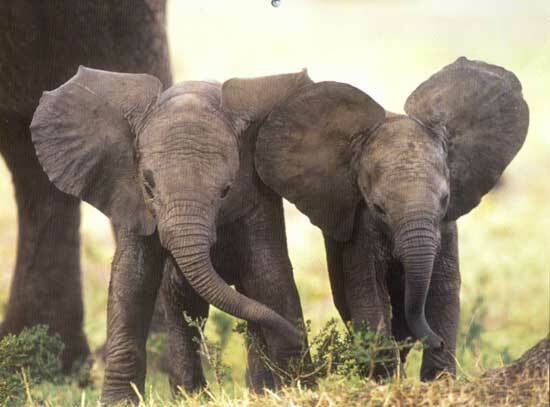 In the wild elephants nurse from their mother until she has another baby, usually about 4-5 years. 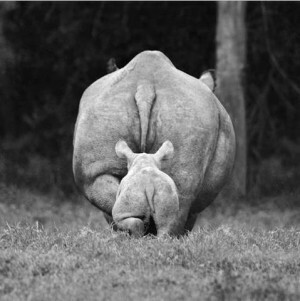 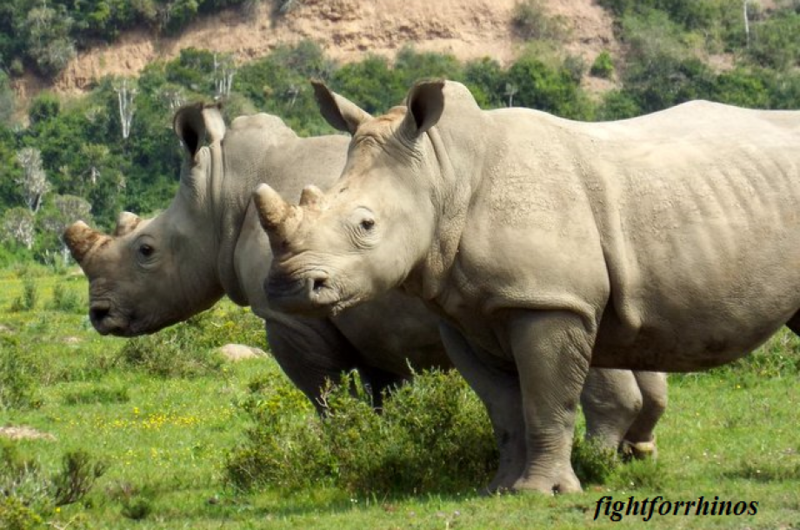 Rhino mothers use their horns to help guide and direct their babies. 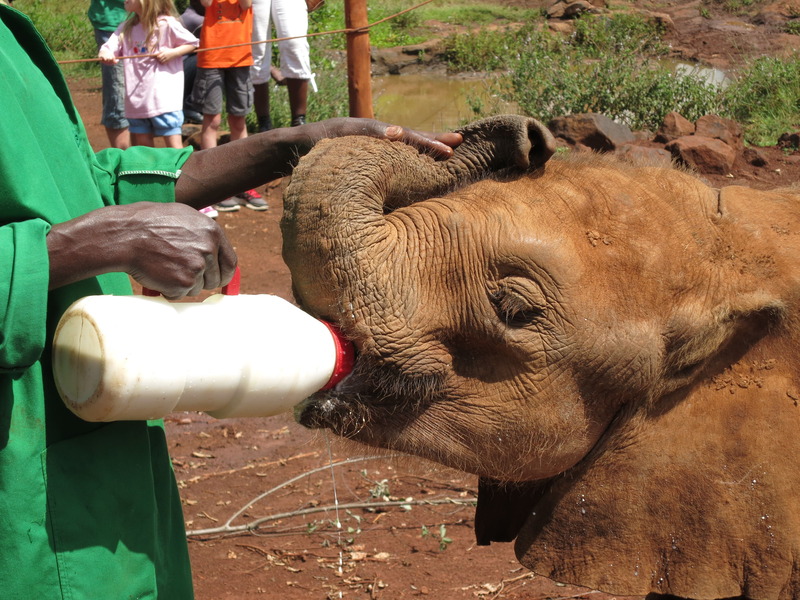 Brothers and sisters-elephants have strong family bonds, and the adults all take part in the care of the babies. 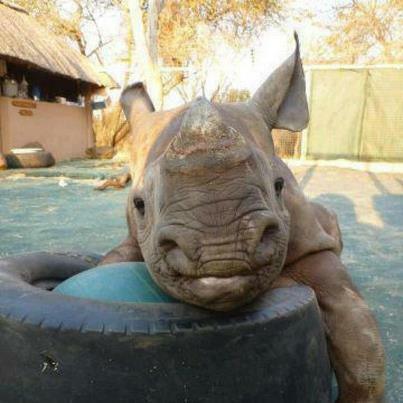 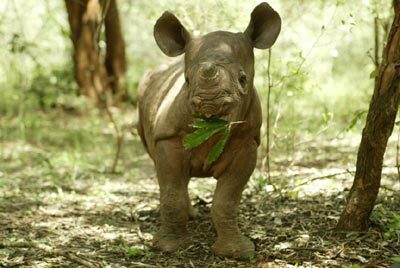 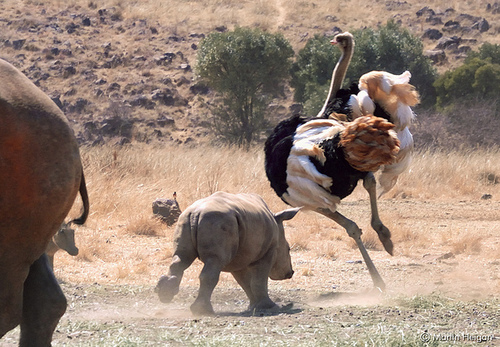 This lucky one is enjoying some playtime at the Rhino Orphanage. 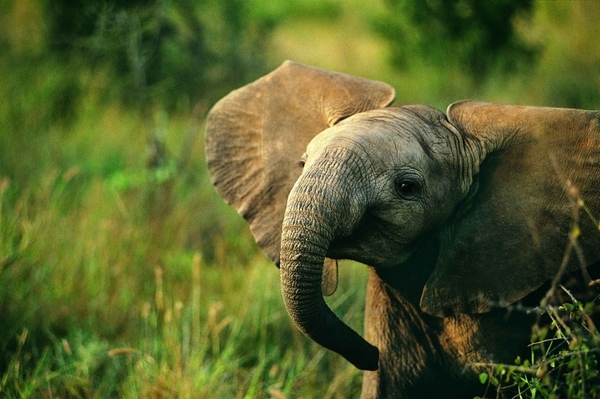 Each elephant’s ear is unique and is used as a a type of fingerprint for identification.